A new year, a new round of favourites. Admittedly, some of the products/brands were 2015 discoveries but these were definitely all daily products for me in January. There's also a really cool charity aspect to one of these favourites - keep reading to find out more! NUDESTIX Lip + Cheek Pencil in Sin ($28): This has hands down been my most worn lip product for the last month, actually since I bought it in August. It’s a brilliant dusty rose colour that compliments every makeup look I’m contemplating in the morning. The formula is so smooth and moisturizing on the lips, so comfortable to wear, and fades away evenly as you hit your second cup of coffee after a breakfast meeting. 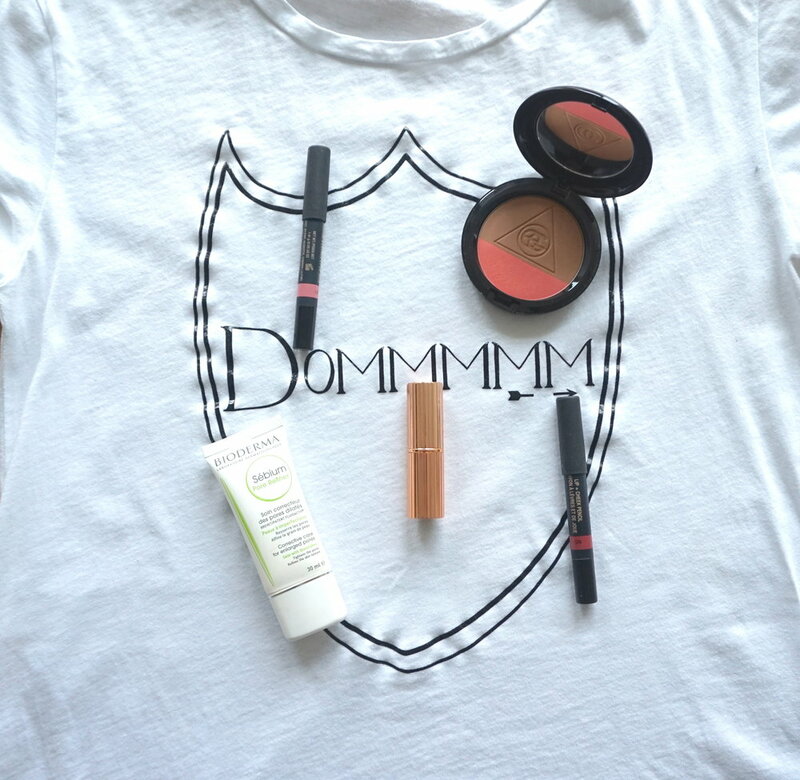 Definitely my #1 lip pick at the moment – if you don’t own this you need to pick one up ASAP! NUDESTIX Lip + Cheek Pencil in Love ($28): This NUDESTIX pick plays more to the Cheek side of the name. Love is a pale pink that doesn’t really work on the lips, I found it a bit too light for me, but works perfectly as blush colour. This pencil adds a great flush to the cheeks that stays put throughout the day. The cream formula applies incredibly easily, no tugging, and looks very even on the skin when blended out with your fingers. This is a great time to pick up Love because NUDESTIX recently announced that they have partnered with Love Is Louder, a project of The Jed Foundation that strives the spread the message that love and support is more powerful than the voices that bring us down, making us feel misunderstood, mistreated and alone. NUDESTIX will donate $5 from every purchase of the Lip + Cheek Pencils in Love and Kiss to the charity - so get your hands on this January favourite and support a great cause! Charlotte Tilbury Matte Revolution Lipstick in Love Liberty ($32): Clearly, I was really into lips in January. When I wasn’t rocking the NUDESTIX pencil in Sin, I was all about Love Liberty, a deep plum red. Charlotte’s Matte Revolution lipsticks are the most comfortable but opaque lipstick I’ve ever tried. They feel so light and won’t cling to any dry spots on your lips but leave the most amazing, rich colour with a truly matte finish. I don’t know how she does it but this is basically a magic lipstick. Bioderma Sébium Pore Refiner ($30): The subject of my latest blog post, this has been the perfect base for my foundation in January. It mattifies the skin without looking flat or leaving that silicon feeling. It’s like a velvet textured moisturizer that creates the perfect canvas for makeup. If you have any blemishes, this is a great product to create an even base that won’t aggravate any spots. MAC x Ellie Goulding Collection Powder Blush in I'll Hold My Breath ($34): I'm actually kind of annoying that I use this so much because I would really like to keep this in tact as part of my limited edition makeup collection - but I can't help myself! The bronze colour in this duo applies very lightly and looks so natural on my pale winter skin, absolutely perfect for this time of year. Initially, I found the satin pink blush colour a bit patchy but the more I use it the more evenly I found it applies. Definitely my main pick from the Ellie Goulding collection. Those are my January favourites, what product were you loving last month?